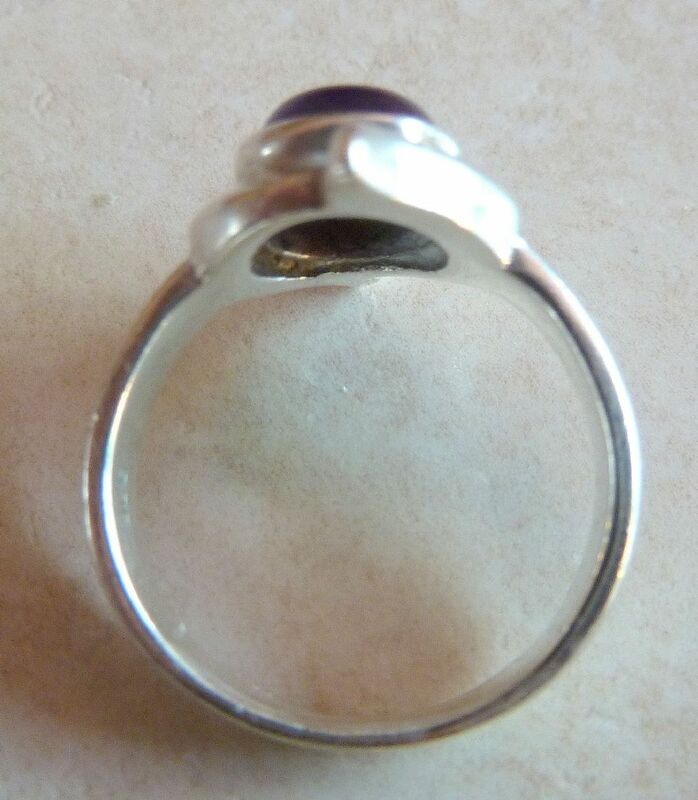 Sterling Silver and Amethyst Modernist Style Vintage Ring. Vintage sterling silver modernist style ring , featuring a large amethyst cabochon. 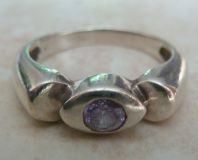 Sterling Silver And Amethyst Rose De France Ring. 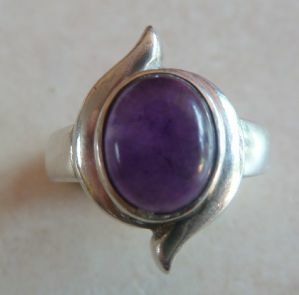 Sterling silver modernist style ring with a central Rose De France amethyst beautifully faceted stone.